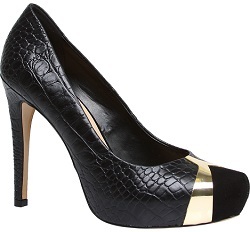 Stunning Shoes with front Gold Strap inset, zipper at back. 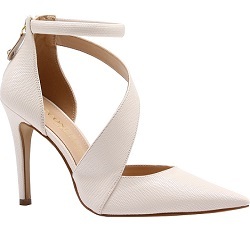 Heels with cross over wide strap finished at ankle. 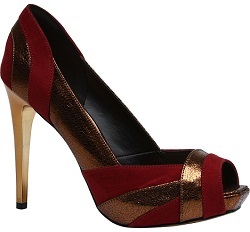 Stunning two-colour shoes with stiletto heels and peep toe. 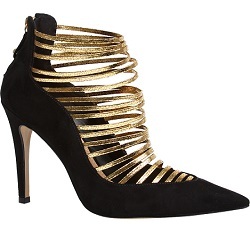 Silver heels with toe to ankle black straping. 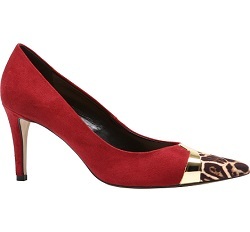 Elegant court shoe featuring animal print. 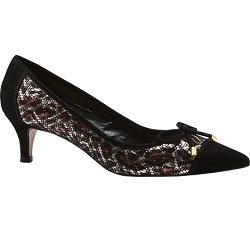 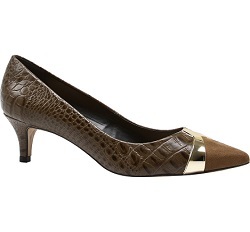 Elegant court shoe in snake skin pattern.